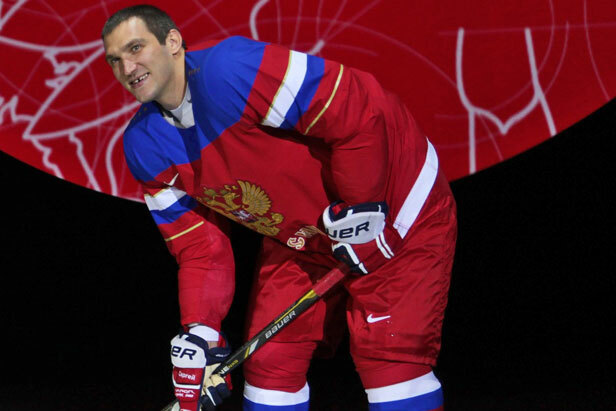 Russian national hockey team to play in new uniform reflecting rich legacy of country, team this winter. Nike presented the Russian National Hockey team with its new uniform for the 2014 Winter Olympics in a ceremony at the Sokolniki Ice Hockey Arena on August 26. Alexander Ovechkin and Alexandra Kapustina, the power forward and defender for the men’s and women’s Russian hockey teams respectively, appeared on the ice in the new uniform. Hockey jerseys are a legendary symbol of the winter sport. The new uniform presents a true symbol of national pride, reflecting Russia’s rich history and the hockey team’s great legacy. The designers drew inspiration from the double-headed eagle, Russia’s national seal, in the development process. The jersey was supplemented by the soft lines of its cut, smooth patterns, and its modern collar using light-weight Nike Flywire thread. As a result, the uniform is lighter. It lets the body breathe while following body movement during play. The uniform was presented in two color schemes: a main red one for home games and an additional white one for away games.